After the conclusion of one of my Birds in Flight Photography Workshops Cape Town I sat down next to the Milnerton lagoon / Woodbridge Island for some reflection. As usual, at this site, I very quickly had one of the resident ducks around me doing some late morning grooming. 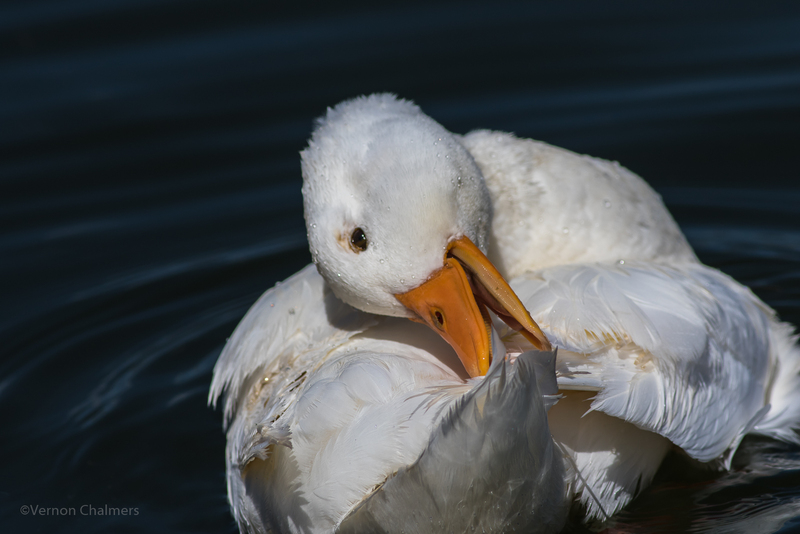 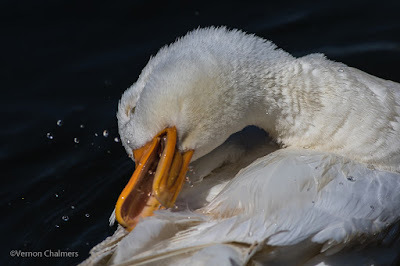 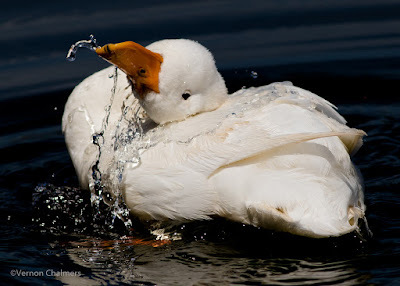 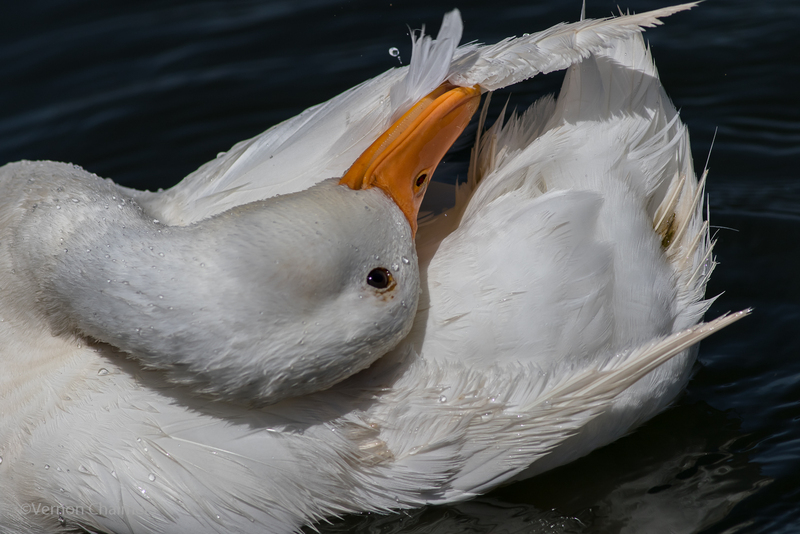 The white duck was right in front of my lens and I really enjoyed the Canon EOS 7D Mark II close-up opportunity. 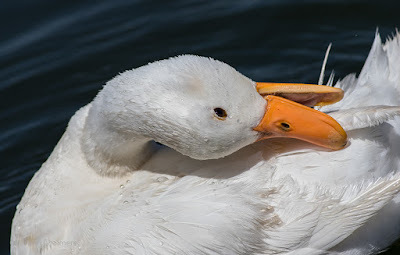 All photos by Vernon Chalmers with Canon EOS 7D Mark II / Canon EF 400mm f/5.6L USM lens (M Mode / Handheld). 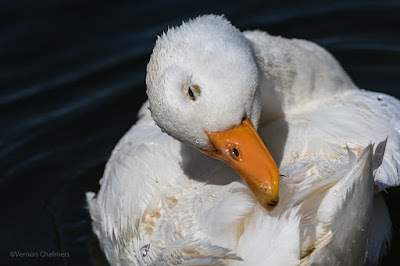 Manual mode: ISO 320 / f/6.3.